Richmond Consolidated School. Richmond, Ma 01254. Elementary and Middle School. Staff Administration. Prior to joining the Shaker Mountain School Union, Peter has been the Superintendent of Schools for the Berkshire Hills Regional School District. Peter served as Executive Director of Policy in the Office of Portfolio Planning at The New York City Department of Education helping to create and sustain more than 150 new schools. He was the Principal of The Heritage School in East Harlem, a collaboration between Teachers College, Columbia University and the New York City Schools. He taught in New York and in the Republic of the Marshall Islands as a Peace Corps Volunteer. Peter has a Doctorate in Curriculum and Teaching from Teachers College, Columbia University where he also received an M.A. in Teaching English to Speakers of other Languages. He holds an Ed.M. in International Education from Harvard University and an A.B. in History and Religion from Bowdoin College. Peter lives with his wife Diane and three children in Great Barrington. My name is Jill Pompi and I am thrilled to be the new reading specialist at Richmond Consolidated School. I have worked in education for over twenty years in various roles and I am so happy to be back to working with students. I hope to not only provide the knowledge and foundational skills to become a good reader, but also nurture the love of literacy. When I am not at work I spend my time with my husband and three children. I love to run, read and visit the beach. After working for over 15 years in the private sector as the office administrator for a real estate developer she found her true passion was to be around children. 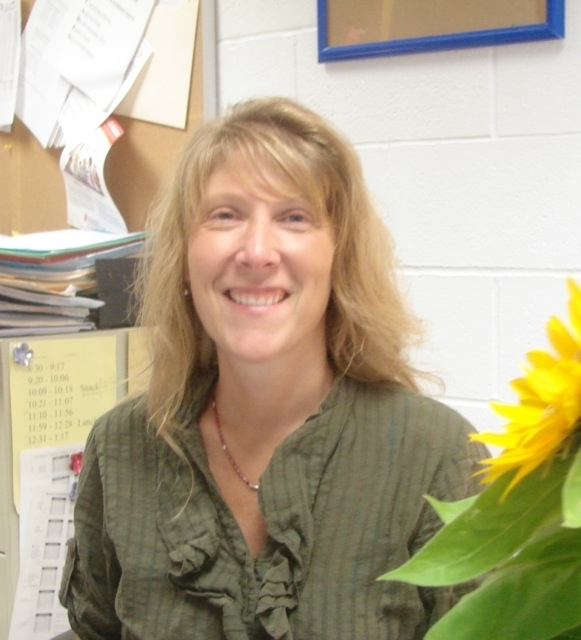 She has been with Richmond School since 2010. Mrs. Gingras grew up in Pittsfield, graduated from Berkhsire Community College with a degree in Business Adminstration and resides there with her husband and two children. She enjoys warm weather and the outdoors. Her goal is to retire on the beach in St. Thomas, U.S, Virgin Islands.